Welcome to The Wellness Path, created and operated by Nirmal Singh (aka Tom Russell). I have been involved in the wellness arena for over 20 years as both a student and practitioner of a number of wellness modalities. 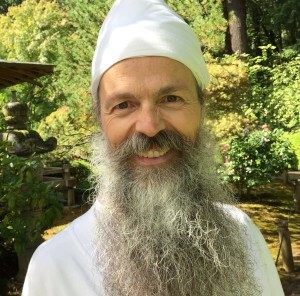 After a successful career in advertising, I created The Wellness Path which offers Kundalini Yoga and related programs to the local, regional and international communities. I have taught Kundalini Yoga classes since 1999, and co-facilitated teacher training since 2006, in Toronto and other cities. I mentor with Sat Dharam Kaur in her Beyond Addiction: The Yogic Path to Recovery training program. I’ve co-facilitated this program in Toronto, Owen Sound and Peru, and teach Beyond Addiction community support classes and workshops in Toronto. I also produce and administer 3HO events locally including sacred chant concerts, yoga & meditation workshops (including White Tantric Yoga), local and international retreats, Level 1 teacher training, and Level 2 teacher training by international teachers and trainers.